Home » Police seized huge contraband items from F.L. Shop owner. Police seized huge contraband items from F.L. Shop owner. 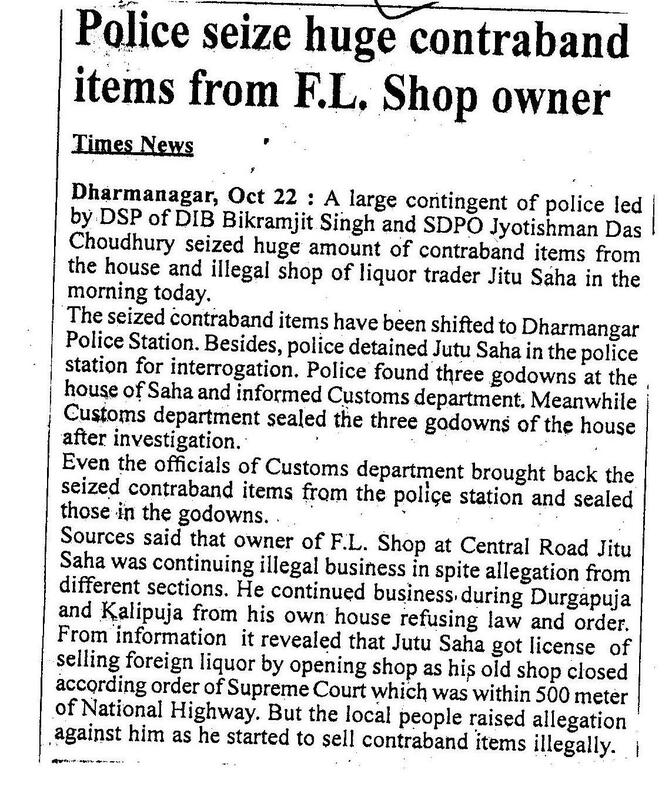 A large contingent of Police led by DSP of DIB Bikramjit Singh and SDPO Jytishman Das Chowdhury seized huge amount of contraband items from the house and illegal shop of liquor trader Jitu Saha in the morning today.